When a child w-sits he spreads his hips with his bottom on the floor, his knees bent, and his feet behind him, making a “W” shape with his legs. I’m a pediatric physical therapist, and I think W-sitting is OK.
Like most physical therapists, I learned in school that W-sitting is bad. Very bad. The worst. When I talk to other physical therapists, even those who don’t treat children, they remember the same thing. In a recent conversation, one colleague recalled the time she came home from PT school in a panic because her then-5-year-old sister was a W-sitter. It is a single, pervasive, clear message taught to physical therapy students everywhere. W-sitting must always be corrected. But why? W-sitting will cause orthopedic issues such as twisted bones and hip dislocation. W-sitting will cause muscle tightness, especially in the hips. W-sitting will aggravate neurological issues such as low muscle tone. For the first several years of my practice as a PT, I taught families about the dangers of W-sitting, reciting the 3 reasons over and over again. For the first couple of years I taught pediatric PT, I passed these beliefs onto my students. Then I became a mother. And my son was a W-sitter. And for the first year or so of his life, as he played, I chirped “Fix your feet!” and moved him, over and over again, into other sitting positions. At first, it wasn’t a big deal. But then he started to get frustrated with me. And I started to get frustrated with him. And I noticed that, when I moved him to a new position (or forced him to do so himself), he often wasn’t able to play as well or effectively as he was before my “intervention.” He was a happy, bright, social kid. He was developing normally, hitting all his milestones on time, and had no orthopedic or muscular problems that I could identify. So I stopped worrying about it. I stopped correcting him. I started to wonder why I had been correcting W-sitting just for the sake of correcting W-sitting. And I started to think really carefully about what I was really doing when teaching families to discourage W-sitting. The truth is, as common as it is for therapists to teach children to “fix your feet,” there is really no evidence to support this practice. A quick Google search for “W-sitting” reveals hundreds of posts about W-sitting, most written by physical and occupational therapists. Almost without exception, they caution against W-sitting. Almost without exception, they give the 3 reasons that W-sitting is bad. But, in reviewing all 10 posts on the first page of search results on W-sitting, not a single one provides any references for those claims. Searches for W-sitting on Google Scholar and PubMed come up empty. “Fix your feet!” For a practice with such a high level of adoption, there sure is a low level of evidence. Now, I don’t dispute the fact that children with low muscle tone often choose W-sitting as a preferred position. It gives them a wide base of support which makes them really stable. But you know what that means? They are functional in that position! They can use their hands better and manipulate toys better because they aren’t using all their energy just trying not to fall down. I also understand that often, children who W-sit often have orthopedic issues and muscle tightness. But I don’t think that we can confidently say that W-sitting CAUSES those issues. Perhaps it’s the other way around – unstable hips and tight hamstrings lead to W-sitting. Or maybe there’s a third variable that’s causing both problems. The truth is we don’t know. And many might argue, “What’s the harm? It won’t hurt to take them out of W-sitting. Why wouldn’t we correct it?” My response would be that correcting it might actually be harmful. Perhaps not for the child’s physical development. But what about their interactions with their parents? Is constantly having a parent telling their child to “fix their feet” promoting good parent-child interactions? What about parents who worry constantly about their child’s W-sitting? How much stress and worry are we therapists causing over something we really can’t even prove causes harm? And finally, what about function? What are we taking away from the child when we correct W-sitting? So perhaps we therapists should soften a bit on W-sitting. Not that we should NEVER correct it – sometimes it is clearly problematic for a child. But we should recognize that W-sitting isn’t an all or nothing proposition. It can be normal and is not always be dangerous or bad. It doesn’t always need to be corrected. Let’s look at children as individuals, address their real impairments, and always keep our eye on enhancing participation rather than reinforcing “normal.” If low tone and core strength are the issues, let’s address those. 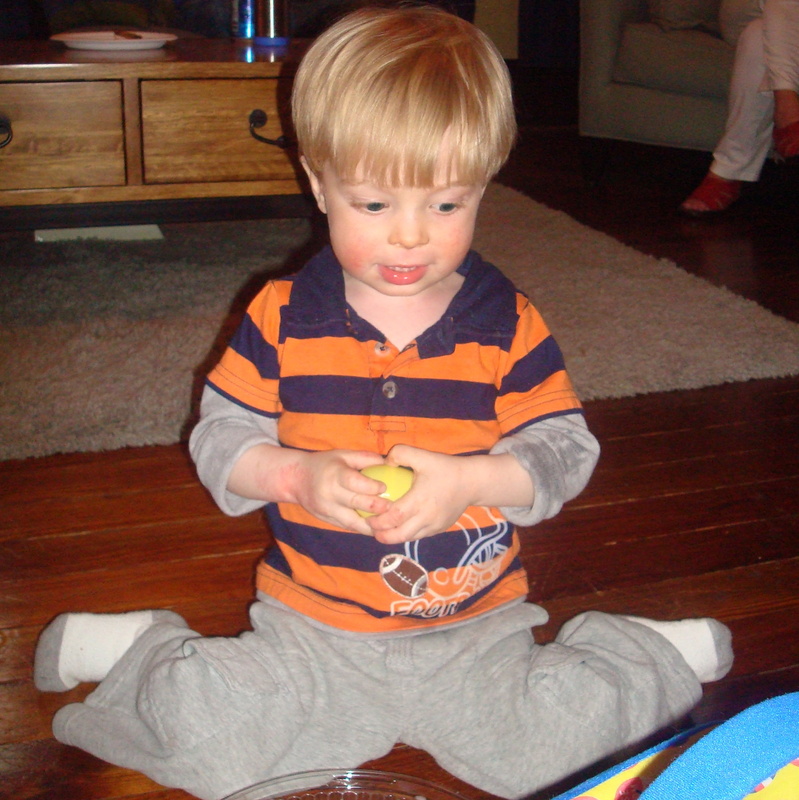 Let’s provide opportunities for a variety of movements and help children explore different sitting positions. Kids are smart. They usually know what they need. And the body has a way of finding the most effective and efficient way to move. For many kids, W-sitting isn’t a problem, it’s their solution.